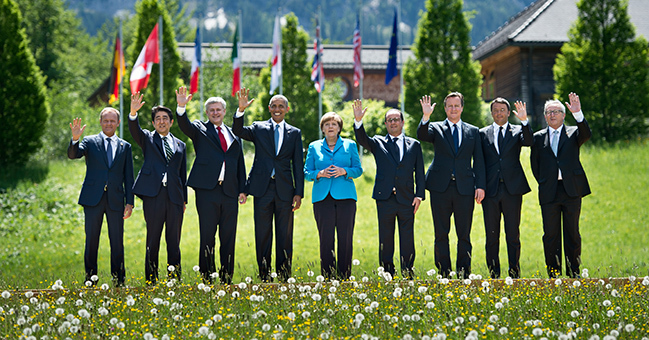 Just what did the G-7 leaders decide about Climate Change, Energy, and the Environment? 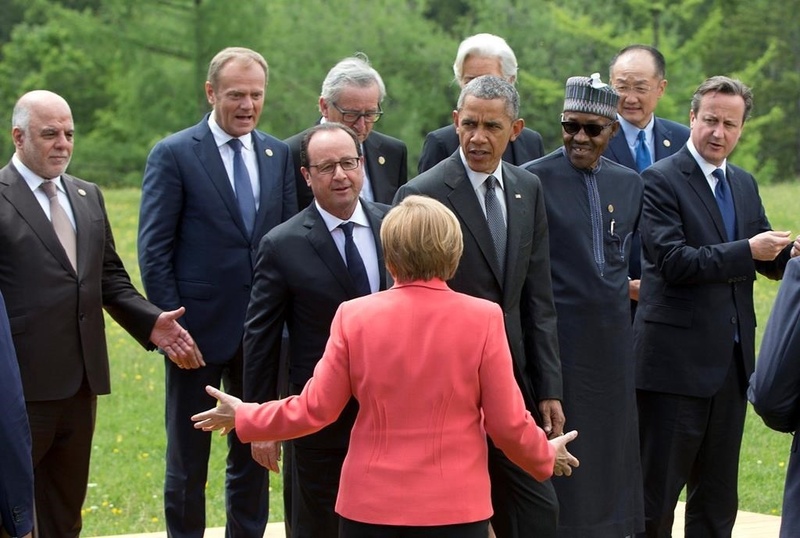 GLOBE-Net, June 10, 2015 – Much of the climate related media attention and subsequent commentary in the wake of last week’s G-7 Summit focused on the agreement of the assembled leaders to significantly reduce greenhouse gas emissions by 2050 and to end the use of fossil fuels by the end of the century. Significant as these two points were, there were many other climate change, energy, and environmental issues decided at that meeting which deserve closer attention. This excerpt from the official communique touches on somne of the key points worth noting. Mindful of this goal and considering the latest IPCC results, we emphasize that deep cuts in global greenhouse gas emissions are required with a decarbonisation of the global economy over the course of this century. Accordingly, as a common vision for a global goal of greenhouse gas emissions reductions we support sharing with all parties to the UNFCCC the upper end of the latest IPCC recommendation of 40 to 70 % reductions by 2050 compared to 2010 recognizing that this challenge can only be met by a global response. We commit to doing our part to achieve a low-carbon global economy in the long-term including developing and deploying innovative technologies striving for a transformation of the energy sectors by 2050 and invite all countries to join us in this endeavor. To this end we also commit to develop long term national low-carbon strategies. Climate finance is already flowing at higher levels. We will continue our efforts to provide and mobilize increased finance, from public and private sources, and to demonstrate that we and others are well on our way to meet the USD 100 bn goal and that we stand ready to engage proactively in the negotiations of the finance provisions of the Paris outcome. We recognize the potential of multilateral development banks (MDBs) in delivering climate finance and helping countries transition to low carbon economies. We call on MDBs to use to the fullest extent possible their balance sheets and their capacity to mobilize other partners in support of country-led programs to meet this goal. We thank the presidency for the publication of the Background Report on Long-Term Climate Finance and call for a further exchange in all relevant fora in view of COP 21.
a) Intensify our support particularly for vulnerable countries’ own efforts to manage climate change related disaster risk and to build resilience. We will aim to increase by up to 400 million the number of people in the most vulnerable developing countries who have access to direct or indirect insurance coverage against the negative impact of climate change related hazards by 2020 and support the development of early warning systems in the most vulnerable countries. To do so we will learn from and build on already existing risk insurance facilities such as the African Risk Capacity, the Caribbean Catastrophe Risk Insurance Facility and other efforts to develop insurance solutions and markets in vulnerable regions, including in small islands developing states, Africa, Asia and Pacific, Latin America and the Caribbean as set out in the annex. In order to incentivize investments towards low-carbon growth opportunities we commit to the long-term objective of applying effective policies and actions throughout the global economy, including carbon market-based and regulatory instruments and call on other countries to join us. We are committed to establishing a platform for a strategic dialogue on these issues based on voluntary participation and in cooperation with relevant partners, including the World Bank. In addition, we intend to continue our work on assessments of energy system vulnerabilities. Moreover, we will work on strengthening the resilience and flexibility of gas markets, covering both pipeline gas and liquefied natural gas. We regard diversification as a core element of energy security and aim to further diversify the energy mix, energy fuels, sources and routes. We will strengthen cooperation in the field of energy efficiency and launch a new cooperative effort on enhancing cybersecurity of the energy sector. And we will work together and with other interested countries to raise the overall coordination and transparency of clean energy research, development and demonstration, highlighting the importance of renewable energy and other low-carbon technologies. We ask our Energy Ministers to take forward these initiatives and report back to us in 2016. The protection and efficient use of natural resources is vital for sustainable development. We strive to improve resource efficiency, which we consider crucial for the competitiveness of industries, for economic growth and employment, and for the protection of the environment, climate and planet. Building on the “Kobe 3R Action Plan”, and on other existing initiatives, we will continue to take ambitious action to improve resource efficiency as part of broader strategies to promote sustainable materials management and material-cycle societies. We are establishing the G7-Alliance on Resource Efficiency as a forum to share knowledge and create information networks on a voluntary basis. As set out in the annex, the Alliance will collaborate with businesses, SMEs, and other relevant stakeholders to advance opportunities offered by resource efficiency, promote best practices, and foster innovation. We acknowledge the benefits of collaborating with developing countries on resource-efficiency, including through innovative public private partnerships. We ask the UNEP International Resource Panel to prepare a synthesis report highlighting the most promising potentials and solutions for resource efficiency. We further invite the OECD to develop policy guidance supplementing the synthesis report. We acknowledge that marine litter, in particular plastic litter, poses a global challenge, directly affecting marine and coastal life and ecosystems and potentially also human health. Accordingly, increased effectiveness and intensity of work is required to combat marine litter striving to initiate a global movement. The G7 commits to priority actions and solutions to combat marine litter as set out in the annex, stressing the need to address land- and sea-based sources, removal actions, as well as education, research and outreach. We, the G7, take note of the growing interest in deep sea mining beyond the limits of national jurisdiction and the opportunities it presents. We call on the International Seabed Authority to continue, with early involvement of all relevant stakeholders, its work on a clear, effective and transparent code for sustainable deep sea mining, taking into account the interests of developing states. Key priorities include setting up regulatory certainty and predictability for investors and enhancing the effective protection of the marine environment from harmful effects that may arise from deep sea mining. We are committed to taking a precautionary approach in deep sea mining activities, and to conducting environmental impact assessments and scientific research. The agenda should complete the unfinished business of the Millennium Development Goals, end extreme poverty, leave no-one behind, reduce inequality, accelerate the global transition to sustainable economies, promote sustainable management of natural resources, and strengthen peace, good governance and human rights. In order to mobilize appropriate action in and by all countries and by all stakeholders, we support the formulation and communication of key policy messages. We are committed to building a new global partnership based on universality, shared responsibility, mutual accountability, efficient and effective monitoring and review and a multi-stakeholder approach to our common goals of ending extreme poverty by 2030 and transitioning to sustainable development. As part of a broad effort involving our partner countries, and international actors, and as a significant contribution to the Post 2015 Development Agenda, we aim to lift 500 million people in developing countries out of hunger and malnutrition by 2030. The G7 Broad Food Security and Nutrition Development Approach, as set out in the annex, will make substantial contributions to these goals. We will strengthen efforts to support dynamic rural transformations, promote responsible investment and sustainable agriculture and foster multisectoral approaches to nutrition, and we aim to safeguard food security and nutrition in conflicts and crisis. We will continue to align with partner countries strategies, improve development effectiveness and strengthen the transparent monitoring of our progress. We will ensure our actions continue to empower women, smallholders and family farmers as well as advancing and supporting sustainable agriculture and food value chains. We welcome the 2015 Expo in Milan (“Feeding the Planet – Energy for Life”) and its impact on sustainable agriculture and the eradication of global hunger and malnutrition. We remain committed to holding ourselves accountable for the promises we have made in an open and transparent way.